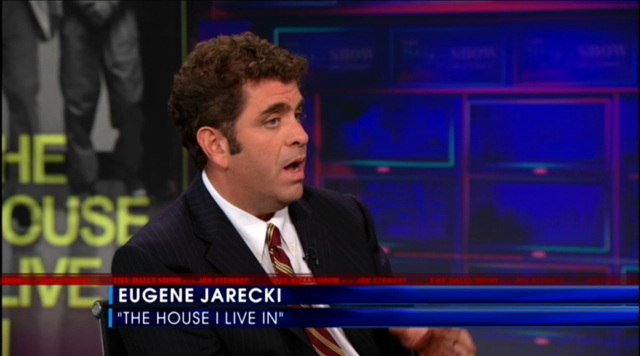 Eugene Jarecki was the guest on The Daily Show last night with Jon Stewart. Born in Connecticut in 1969, and a Princeton graduate, is a successful filmmaker with a string of compelling, award-winning movies. His latest is the prison and drug war documentary The House I Live In which is getting excellent reviews. He and his brothers are now all filmmakers, all successful. His brother Andrew was CEO and co-founder of MovieFone and has done a number of interesting, notable films, and Nicholas, who was born in 1979, just recently came out with the Richard Gere financial thriller Arbitrage which also got very good reviews. But in terms of PLATO history, what's interesting is that the Jarecki family (the father is the psychologist and successful commodities investor Dr. Henry Jarecki) was one of the only families in the entire world to have a private PLATO terminal in their home during the early to mid-1970s. That made Eugene was one of the first kids in the world to grow up online in the sense we mean it today: in addition to access to countless hours of online courseware (he loved the Sentences lesson), he also had access to the notesfiles, chat rooms, instant messaging, and addictive multiplayer games, not to mention having the experience commonplace today of every day (if not every minute) something new, exciting, and distracting happening online. He got an early, and heavy, dose of what was coming decades later. Even years later, Jarecki vividly remembered playing games on PLATO. "The addiction never goes away," Eugene told me in a 2003 interview for the book. "So I would always be happy to play Empire." 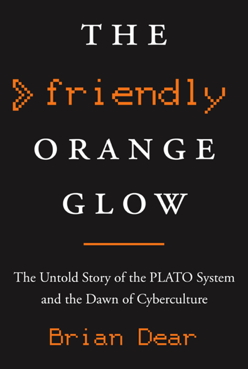 He was particularly fond of the orange glow that emanated from his family's PLATO terminal's flat-panel display. "The thing with the orange glow," he told me, "is it remains to this day the most pleasing color palette I've seen, that sort of weird cloudy screen? It's like dark, you honestly felt that behind that screen that there was miles of space." He's not the only one who felt that way.